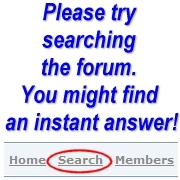 Check here for instant answers to the most common questions about FSFlyingSchool. Join the fun and show off your pilot skills! FSFS can't read my flight plan when landing? STMA DHC3 fsu files (and others with variants) how to add for xp11, how to find specs? Piotr Lessaer is doing well with Circuits! Want to transfer FSFlying School(Purchased Directly) to new computer. What training modules are in FSFlyingSchool? FSX - ILS AutoLanding with DC-3 - Is it possible?